A Toasted Chocolate Coconut Porter. 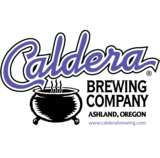 Caldera’s Toasted Coconut Chocolate Porter will never cut corners. You’ll taste the love with every sip. Real, hand-toasted coconut chips are complemented by pure natural chocolate, creating this complex porter. Smooth and velvety with a pronounced coconut-chocolate aroma, flavor and finish. Huli Pau!